Standard, No. 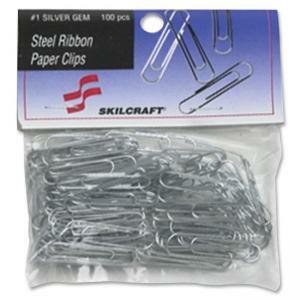 1 size paper clips come in convenient dispenser box. Ideal for supply rooms. Paper clips are made of highest quality steel with a corrosion-resistant finish. Wire won't mark paper and is made of 90 percent recycled scrap base with 75 to 80 percent post-consumer material and 20 to 25 percent post-industrial material.